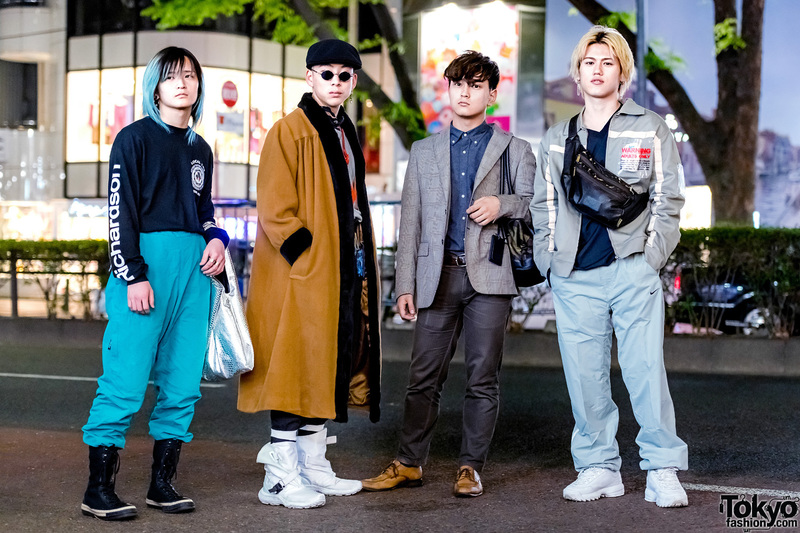 Harajuku girls wearing mainstream fashion styles w/ ruffle top and pants, white platform sandals, striped top w/ slim fit jeans, black sandals, and accessories. Harajuku girls in black and white fashion with polka dot print shirt, lace sleeves, pointy toe heeled loafers and shiny boots. 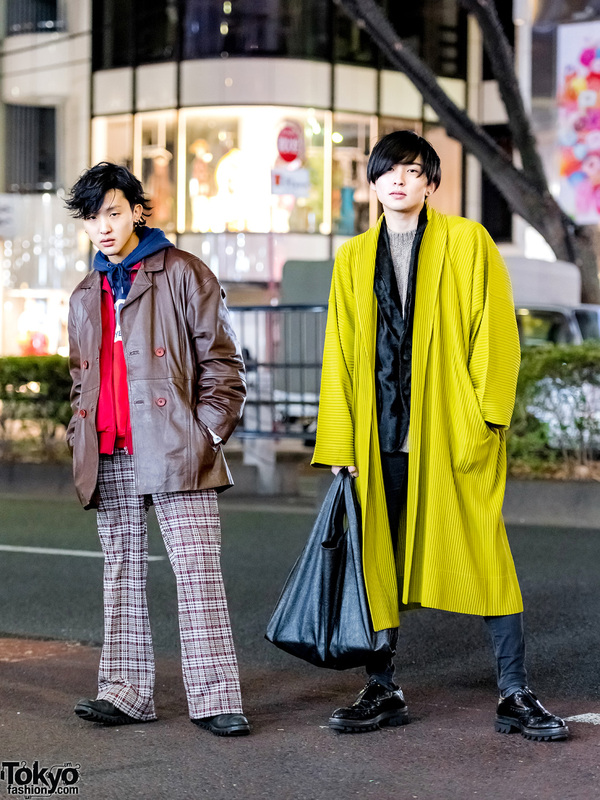 Harajuku guys in cherry print collar shirt, leather jacket, overlap long-sleeves and t-shirt, black pants and platform shoes. 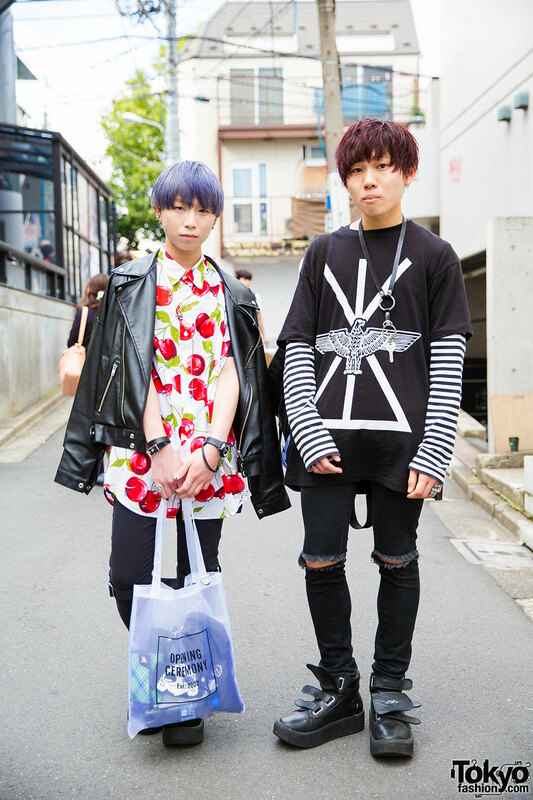 Harajuku guy in vintage floral shirt, skinny pants, boots, tote bag and round sunglasses. Harajuku girl in ruffled jacket over fringe top, turtleneck and black pants, with eye print tote bag and canvas sneakers.